On October 26, 2016, T.I. performed at the newly renovated Reynolds Coliseum (Source). More than 3,000 fans attended, but according to a local newspaper, the stadium was only 50% full (Source). T.I. sang new and old songs- including “24’s” and “No Mediocre.” He urged students to stay focused and stressed the benefits and importance of getting a college degree. The concert also included performances from NC State’s Jordan Williams. At the time he was a junior who was studying communication. He performed under the stage name Sonny Miles. 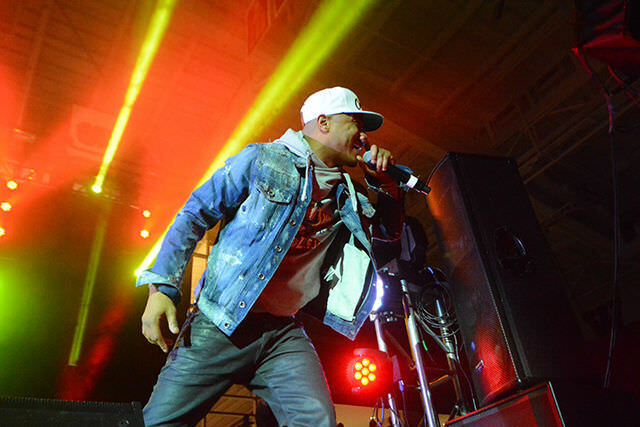 Tickets and RSVP information for T.I.’s upcoming concert at Reynolds Coliseum in Raleigh on Mar 24, 2018. Reynolds Coliseum, situated on the UN State campus in Raleigh, North Carolina is an entertainment venue with a rich history. Reynolds Coliseum was opened for the first time in 1949, and it was the largest basketball arena in the region. Recently it was renovated and reopened in 2016. Now, it’s the permanent home of NC State’s ROTC programs, women’s basketball, wrestle, gymnastics, and rifle. The venue also provides a gathering place for on-campus events like graduations, keynote addresses, concerts, shows, and convocations. Reynolds Coliseum has a seating capacity of 5,500, but it can accommodate up to 6,000 people, and it has new restrooms, concession stands, merchandise stands, and hospitality areas in addition to LED sports lighting and center-hung video board. The exterior of the building has also been changed and all the windows replaced. What Are Reynolds Coliseum Visitors Saying? A resident of Raleigh, Nort Carolina mentions that Reynolds Coliseum looks amazing and that it hasn’t lost its welcoming vibe. The ticket buyer attended the pre-grand opening gala, and he was very surprised and delighted by the changes he noticed. He shares that the seats are more comfortable than before and that it’s the best place for watching basketball. The reviewer also notes that there is a Hall of Fame with interactive displays and memorabilia. Another visitor, who was staying in a hotel nearby the campus, adds that the newly renovated Reynolds Coliseum has smaller seating capacity than before, but now the atmosphere is cozy and intimate. He states that the Hall of Fame is remarkable and that you can learn interesting things about NCSU’s accomplished athletes. He highly recommends that you visit the arena if you’re looking for unforgettable experience. A basketball fan, who was flying to Raleigh, North Carolina for a conference, says that he enjoyed the game very much and that you shouldReynolds Coliseum if you are on NC State campus. The reviewer also notes that parking wasn’t an issue because there is a public parking garage. Another former student at NC State University shares that he misses the old building, but he admits that the renovated Reynolds Coliseum is fantastic with the new seating area, the glass displays, and the plaques. The reviewer adds that the atmosphere is great and that he can’t wait to see another game there. A gymnastics fan, who parked nearby Reynolds Coliseum, comments that the facilities are well-renovated, and that parking was super easy. He also mentions that the concession stands offer tasty snacks and drinks. Moreover, the building has air-conditioning so that you’ll have a nice experience no matter the weather. Another visitor mentions that Reynolds Coliseum is well-organized and clean and that it features ramps for the disabled. The ticket buyer also observes that the staff is friendly and attentive and that the bathrooms are large. However, the reviewer notes that the seats were not as comfortable as she expected. A sports fan says that after the renovation, Raynolds Coliseum looks better than ever and that it will give the home team a court advantage. The ticket buyer also notes that the second floor has a great view of the court. He attended a match and was completely blown away by the experience. He highly recommends the Raynolds Coliseum to anyone visiting Raleigh, North Carolina. Another visitor watched a men’s basketball game, and he was very impressed by the renovations, the enjoyable atmosphere, and the full of history Hall of Fame. The ticket buyer states that the stainless steel wolf sculptures are a nice touch and that he is looking forward to attending another game. Recent performers include: 2 Chainz, Scotty McCreery, Gary Taylor, N.E.R.D., Guster, The Avett Brothers, and Brett Dennen, Phish, Depeche Mode, Widespread Panic, Def Leppard, Aerosmith, Elton John, Van Halen, Van Halen, Barry Manilow, Elton John & Billy Joel.